All classes of UP Turbines, including prototypes and experimental versions are neatly assembled in this program. Union Pacific Historical Society has a production credit. It has the advantage of complete coverage, versus Turbines 8500 on the Wasatch, which was done by Video Rails. The story begins with a 1938 factory movie and progresses chronologically. As with other early black and whites from that era, one screening is probably enough. It runs for nine minutes of this shorter release. This film is just fair. Color plus black and white film are the Pentrex chapters. Excellent quality that covers the history of these Gas Turbine Electrics. 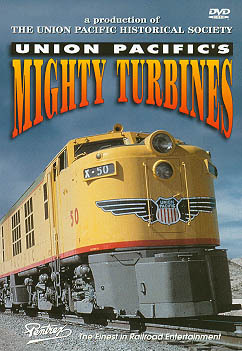 A homebuilt Union Pacific built experimental coal powered turbine is included. Visuals are targeted to the locomotives. Actual sound recordings are an opportunity to hear the Big Blows at work. 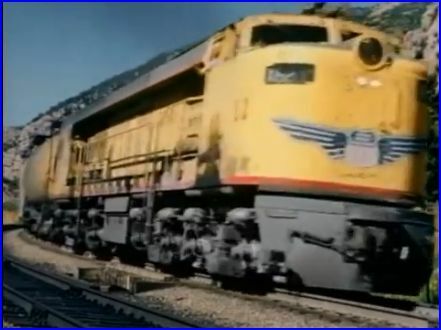 Some train sound only scenes let viewers hear the unique power, as the locos operate. Basic maps, graphics, and chapter menu are here. In particular, a fact sheet of each production run is a fine inclusion. The narration contains much information. Quite thorough. The Veranda types get good coverage. as do the other turbines. Uh-Oh ! 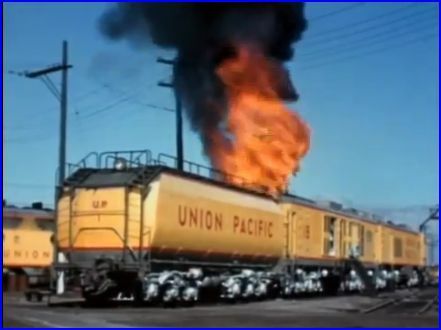 This locomotive ignites some fuel while being started at Ogden, Utah. The last series were at 8500 horsepower. 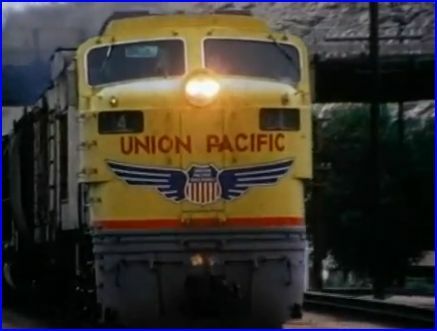 Union Pacific has a colorful livery. Comparatively, the black and white segments seem unexciting. This program will convey a basic knowledge of these exclusive locomotives. Recommend Turbines of the Wasatch for those who want more. Full color footage is approximately 30 minutes. Anyone with interest should be satisfied. 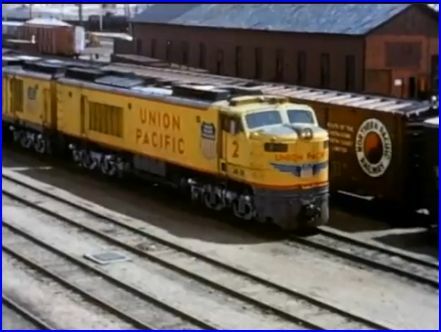 This entry was posted in Pentrex and tagged American Train Video Reviews, Railroad, train video, train video reviews, Union Pacific by William J. Hudson. Bookmark the permalink.